Grimsvotn volcano, Iceland. 2011 eruption. 4. Seismic Imaging Iceland Mantle Plumes. 5. 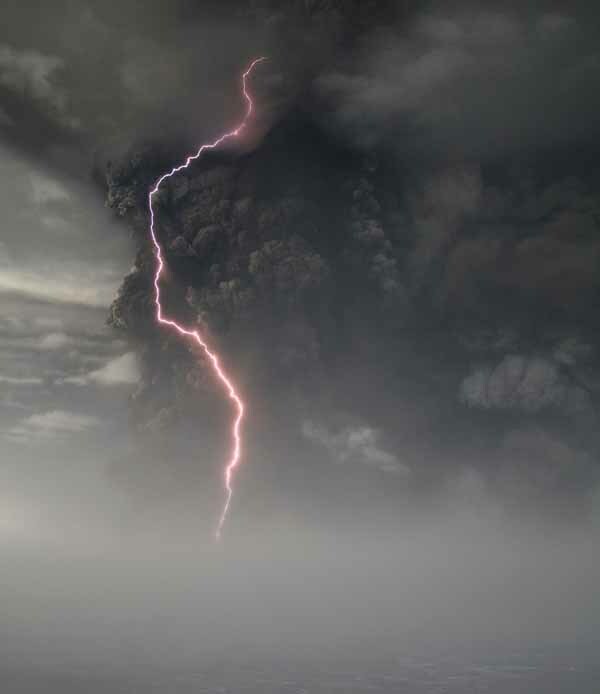 Iceland volcano magma. Inside view. 6. Bacteria in the subglacial lakes. 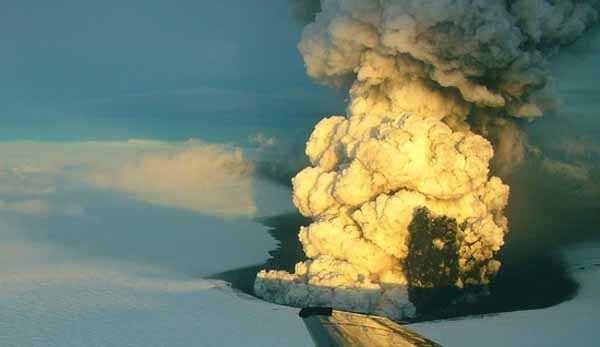 Videos from the 2011 Grimsvotn volcano eruption. 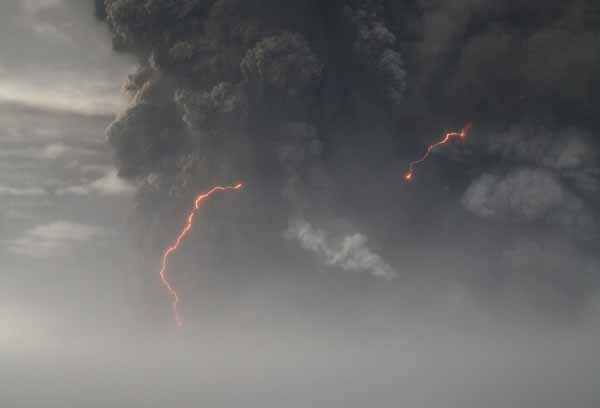 Photos from the 2011 Grimsvotn volcano eruption. 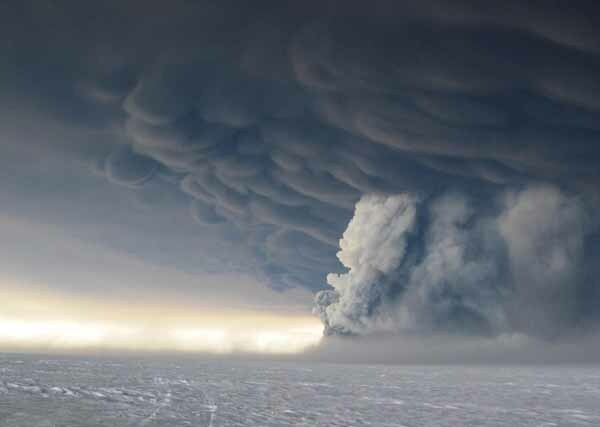 On 21 May 2011 at approximately 17:30 Universal Time (5:30 p.m. local time), an eruption began, with 12km high plumes accompanied by multiple earthquakes. 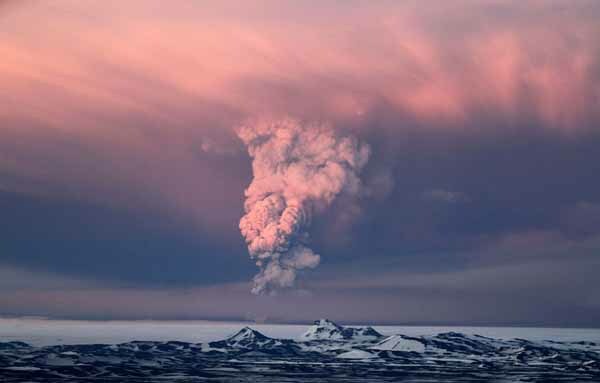 The ash cloud from the eruption rose to 20km, and is so far 10 times larger than the 2004 eruption, and the strongest in Grimsvotn for 100 years. 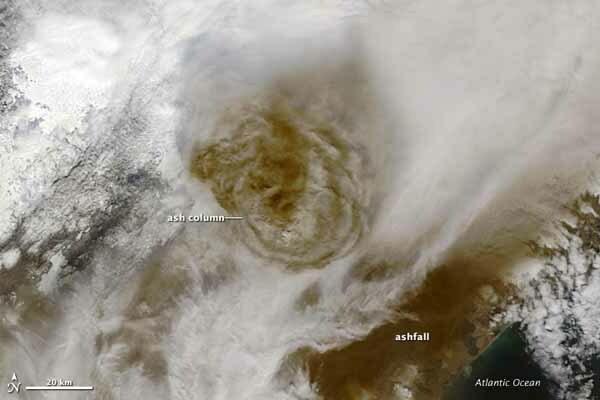 During 22 May the ash plume fell to around 10km altitude, rising occasionally to 15km. 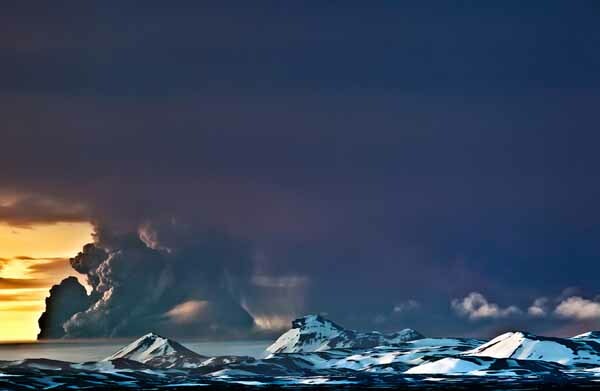 Grimsvotn volcano is the Iceland's most frequently active volcano in historical time. Grimsvotn 's volcano type is Caldera and Grimsvotn volcano (64.41°N, 17.33°W) situated near the center of the Vatnajokull ice cap in central Iceland. The Grimsvotn sub-glacial lakes are in the highlands of Iceland at the northwestern side of the Vatnajökull ice-cap and are covered by it. Beneath them is the magma chamber of the Grimsvotn volcano. The lakes are at an elevation of 1725m. 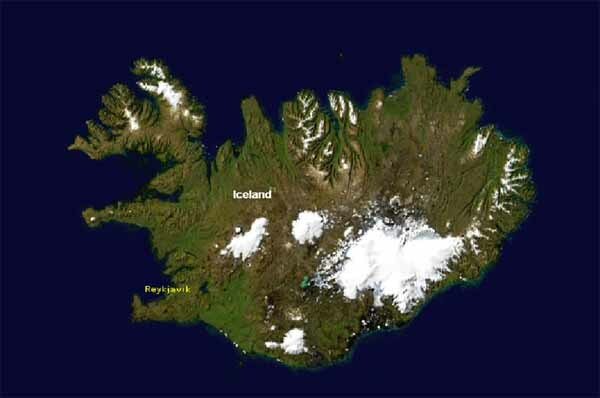 Because most of the volcano lies underneath Vatnajökull, most of its eruptions have been subglacial. Grimsvotn has a southwest-northeast-trending fissure system. The massive climate-impacting Laki fissure eruption of 1783-1784 was a part of the same fissure system and produced the world's largest known historical lava flow during an eruption in 1783. The 15-cu-km basaltic Laki lavas were erupted over a 7-month period from a 27-km-long fissure system. 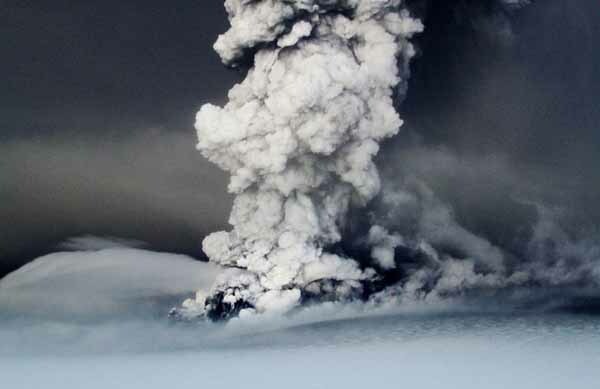 Grimsvotn was erupting at the same time as Laki during 1783, but continued to erupt until 1785. Vatnajokull covers an area of 8100 km2. The volume of the ice cap is almost 3000 km3. The ice cover is about 400m thick (average), and at the most about 950 meters! Since 70 % of the surface is above 1100m, it is still alive. If it should disappear, it would not be able to build up again under the present climatic situation. 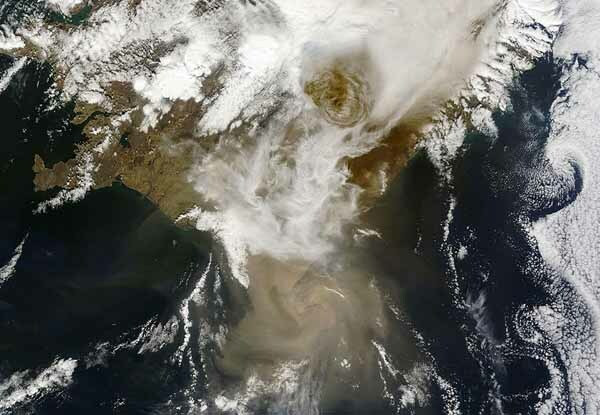 Moderate Resolution Imaging Spectroradiometer (MODIS) on NASA’s Terra satellite captured this natural-color image at 13:00 UTC (1:00 p.m. local time) on May 22, 2011. Harmonic tremors were recorded twice around Grimsvotn on 2 and 3 October 2010, possibly indicating an impending eruption. At the same time, sudden inflation was measured by GPS in the volcano, indicating magma movement under the mountain. 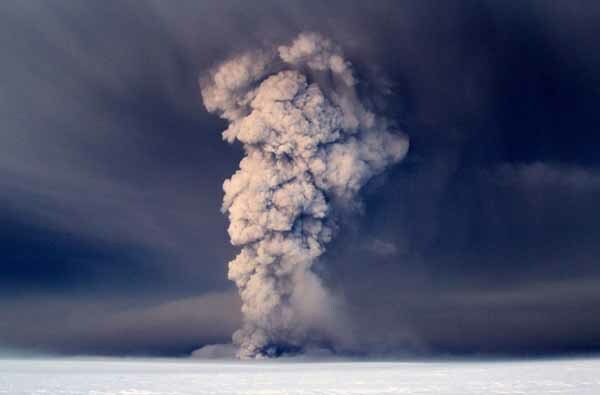 On 1 November 2010 meltwater from the Vatnajokull glacier was flowing into the lake, suggesting that an eruption of the underlying volcano might be imminent. 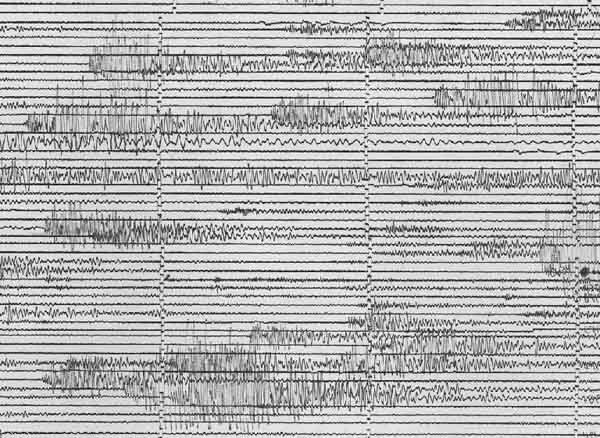 Harmonic tremor describes a long-duration release of seismic energy, with distinct spectral (harmonic) lines, that often precedes or accompanies a volcanic eruption. A volcanic tremor is a sustained signal that may or may not possess these harmonic spectral features. A Harmonic tremor is a sustained release of seismic and/or infrasonic energy typically associated with the underground movement of magma and/or or venting of volcanic gases from magma. Being a long-duration continuous signal from a temporally extended source, a volcanic tremor contrasts distinctly with transient sources of seismic radiation, such as tremors that are typically associated with earthquake and explosion. Bernard Chouet, a United States Geological Survey volcanologist, first observed a relation between long-period events and an imminent eruption. The global high resolution tomographic P-wave model has some evidence for a slow region extending across the entire mantle beneath Iceland. The anomaly sweeps across the mantle (maybe the effect of "mantle wind") and measures up to 1000km in diameter. Other attempts at imaging plumes in the lower mantle using seismic waves that propagate steeply in the mantle (such as the core-reflected waves PcP and ScS or core-transmitted waves PKP and SKS), were not conclusive. A plume beneath Iceland in the tomographic P-velocity model (Bijwaard H, Spakman W. 1999. 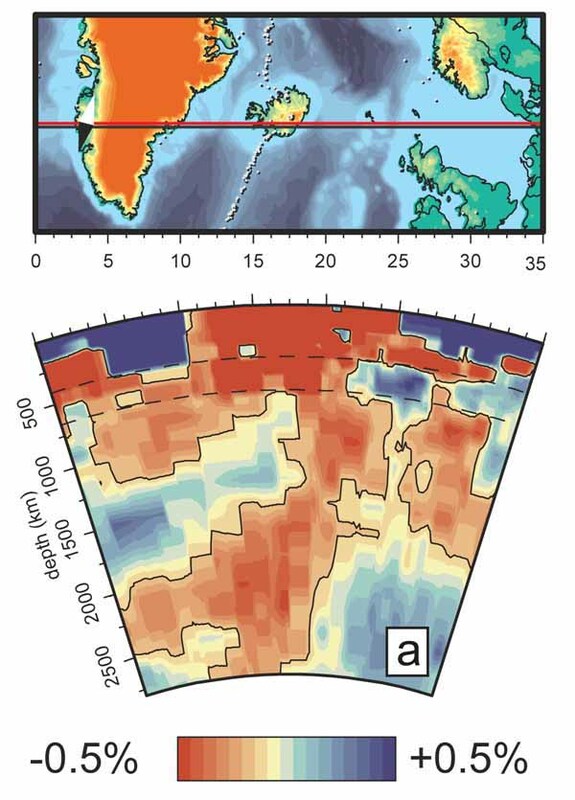 Tomographic evidence for a narrow whole mantle plume below Iceland. Earth Planet. Sci. Lett. 166:121–26). 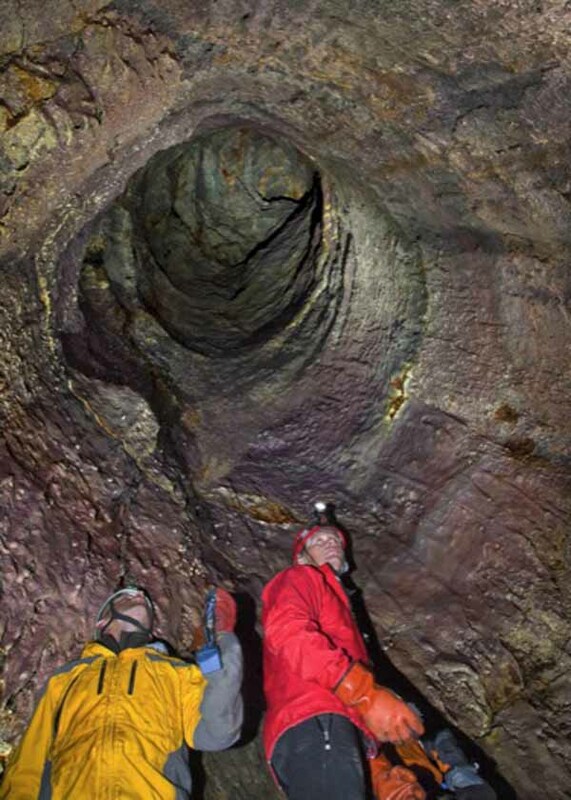 For the first time in history scientists have descended 650 feet into the magma chamber of a volcano. These incredible images show one explorer gently lowering himself into the heart of the dormant Thrihnukagigur volcano in Iceland. 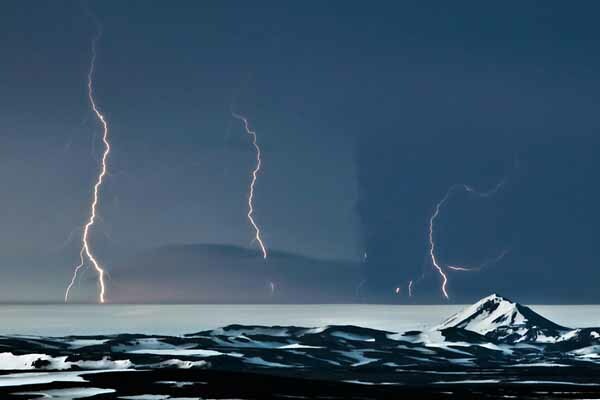 Known as a 'sleeping volcano' because it could come back to life at any time, Thrihnukagigur is credited with helping to create the Atlantic island we call Iceland when it last erupted 3000 years ago. Only now – 50 years since the first man went into space – have human beings visited the only magma chamber on the planet currently safe to explore. 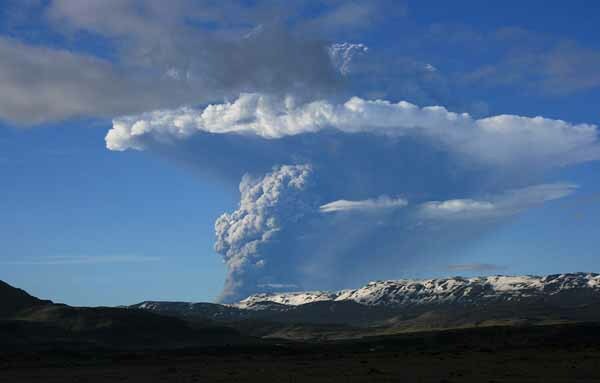 University of Iceland volcano researcher, Dr Freysteinn Sigmundsson used the pioneering expedition to build on his work on Iceland’s most notorious volcano, Eyjafjallajokull – which caused global chaos when it erupted in March last year – grounding aeroplanes and leaving hundreds of thousands of people stranded. 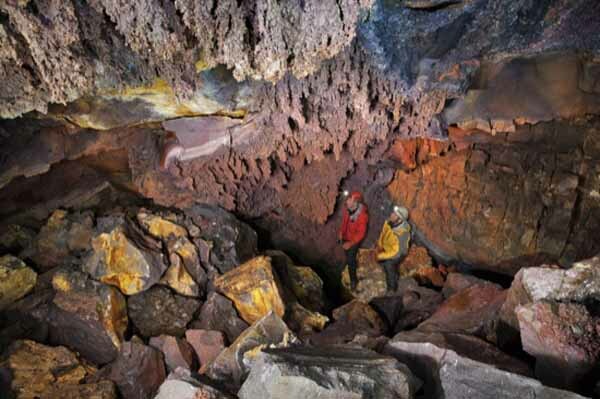 Doctor Sigmundsson described the feeling of being the first scientist to witness a magma chamber from the inside – which was tinged an eery red thanks to the rusted iron ore that lined the chamber walls. In summer 2004, bacteria were detected in the water of the Grimsvotn lakes under the glacier. The first time that bacteria were found in a subglacial lake. The lakes do not freeze totally because of the volcanic heat. 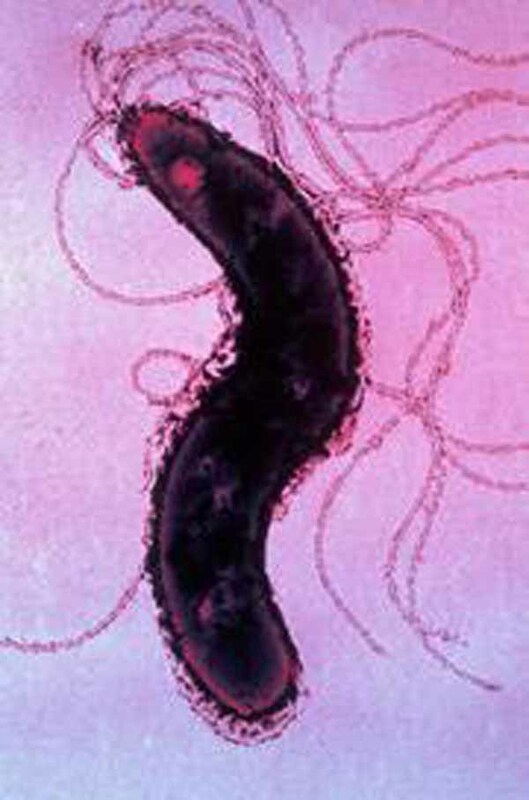 The bacteria can also survive at low concentrations of oxygen. The site is a possible analogue for life the planet Mars, because there are also traces of volcanism and glaciers on Mars and thus the findings could help identify how to look for life on Mars. 1. Nataf H.-C., (2000) Seismic imaging of mantle plumes.Annu. Rev. Earth Planet. Sci. , 2000. v. 28, p. 391–417. - Global Volcanism Program. (n.d.) Grímsvötn. Accessed May 23, 2011.